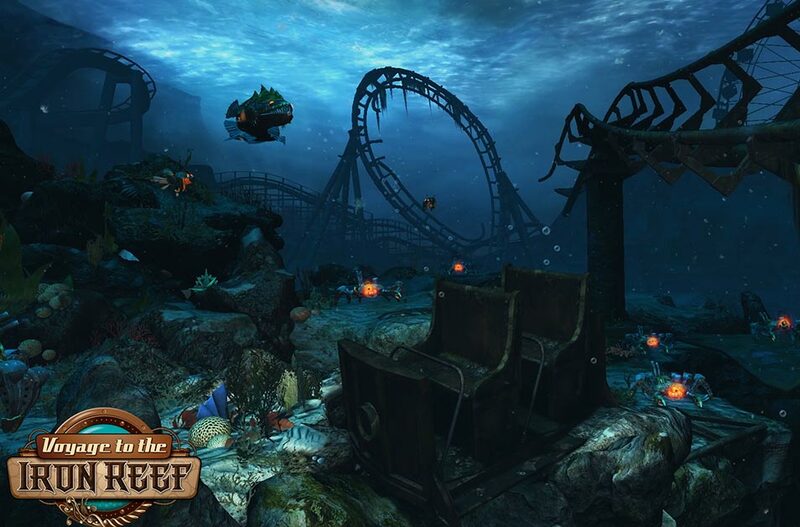 Voyage to the Iron Reef, a spectacular 4-D interactive ride, has surfaced at Knott's Berry Farm. 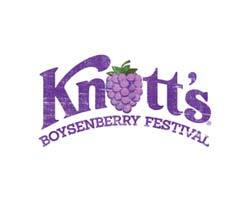 Grab a freeze ray and join the battle to save Knott's from the mysterious creatures that are emerging from the waters beneath the Boardwalk! The Kraken Queen and her aquatic army have surfaced to feed on the steel of any attraction within their grasps. Their unquenchable appetite for coaster metal has turned these creatures into swimming mechanical monsters unlike anything ever before seen on the ocean floor. 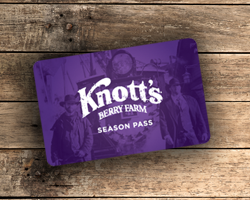 Only you can save Knott’s from the mysterious creatures that are emerging from the seas beneath the Boardwalk! 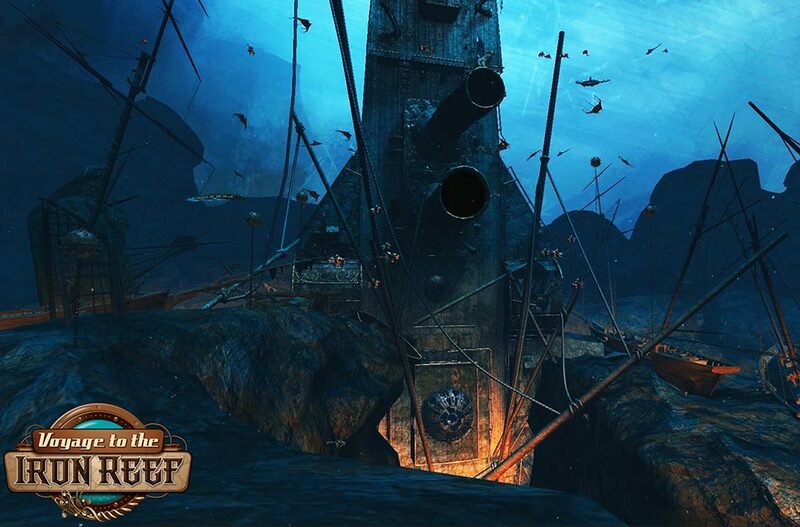 If you have what it takes to become a brave deep sea navigator, climb aboard the four-person submarine and embark on the four-minute gaming adventure into the Iron Reef. 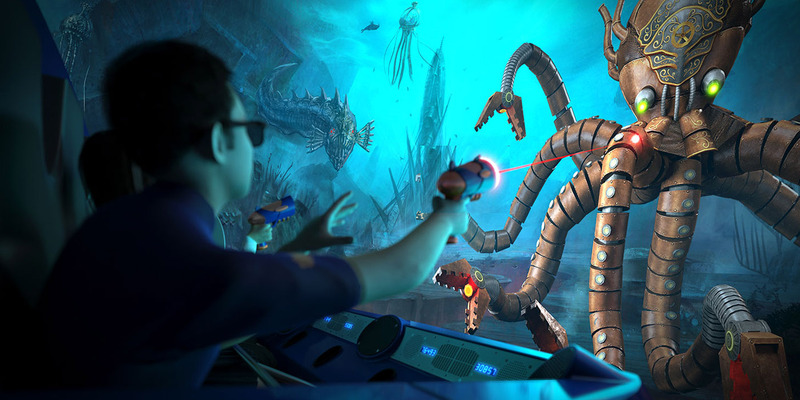 Equipped with your interactive freeze ray, aim for ballooning puffer fish, an iron clad octopus and hundreds of other menacing 3-D creatures to save Knott’s from a watery doom. You are surrounded at every turn by enchanting underwater forests, disorienting ocean current tunnels, and mysterious mechanical wreckage that is brought to life through high definition 3-D animation and other special effects. 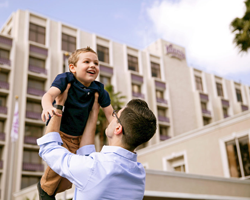 The attraction reacts to your actions making each interactive voyage a different experience. In addition to battling the Kraken Queen and her hundreds-strong aquatic army, compete head-to-head with the other sailors in your submarine to see who can blast the most creatures. 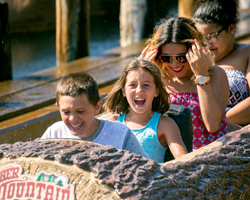 Riders must be accompanied by a supervising companion to ride Voyage to the Iron Reef or 46 inches or taller to ride alone. 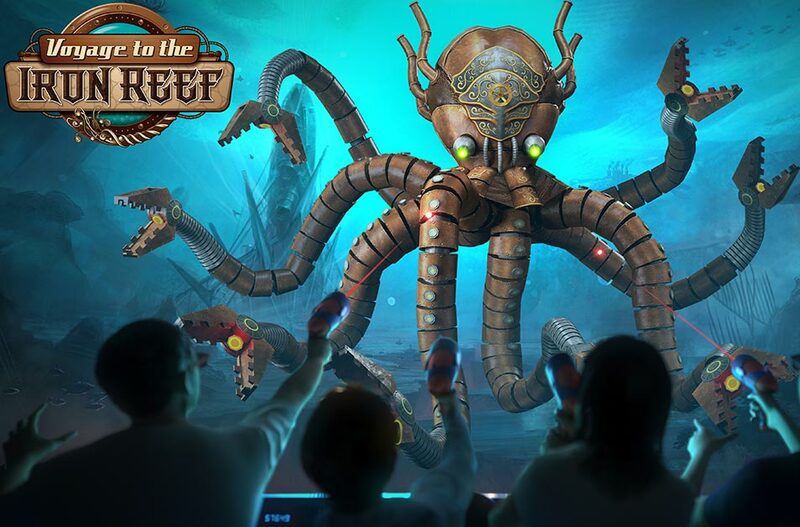 Share your score and join the conversation about Voyage to the Iron Reef using the hashtag #KnottsIronReef on the Knott’s Facebook, Instagram, and Twitter pages.